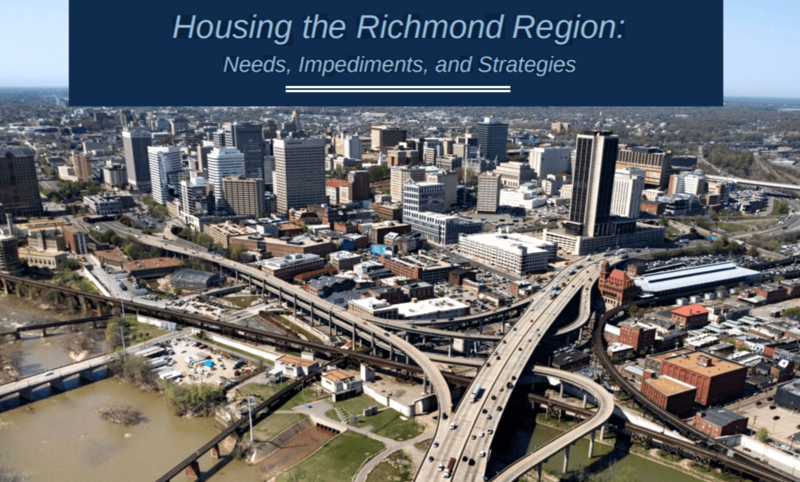 The Capital Region Collaborative (CRC), a joint effort of the Richmond Regional Planning District Commission and the Greater Richmond Chamber, asked the Partnership for Housing Affordability (PHA) to lead the CRC’s efforts to convene a Regional Housing Alliance and develop a plan to achieve the region’s housing goals. PHA commissioned this study to inform the planning process. The report discusses the most important results of research and analysis conducted by Virginia Tech and Virginia Commonwealth University (VCU) and provides information on housing affordability strategies practiced by communities throughout Virginia and the United States. The Richmond Regional Planning District faces a big challenge: an annual housing affordability deficit of $862 million, averaging $6,422 per cost burdened household. Approximately 35% of all households in the planning district are cost burdened, paying more than 30% of their income for housing, including 15% who are severely cost burdened, paying more than 50% of their income for housing. Cost-burdened households may have difficulty affording necessities such as food, clothing, transportation, and medical care. Severely cost-burdened households face even harder choices between housing and other necessities. low-incomes. A little more than half, 53%, of cost-burdened households own their home.